I made this banner from felt and backed it with fall-colored fabric remnants. I just cut out the felt triangles and backing fabric, embroidered the letters and sewed them together with a quick overcasting stitch and connected with ribbon. 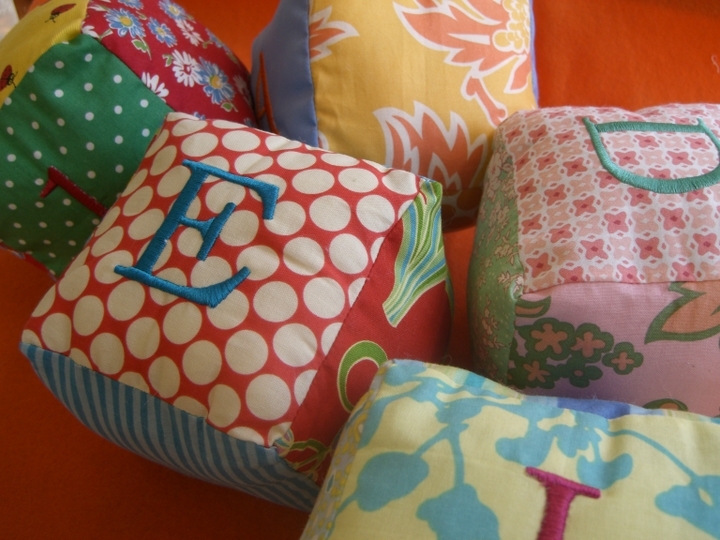 This was a quick and easy project and another good one for those fabric leftovers. Happy Halloween! OK, so if I write a post about the quilts I plan to make, does that mean I’ll actually get to them? The projects are stacking up, but I found some beautiful Kaffe Fassett fabric today (pictured at right). I wouldn’t really consider myself a pink roses kind of person, but this fabric is bright and clean and I was immediately drawn to it. 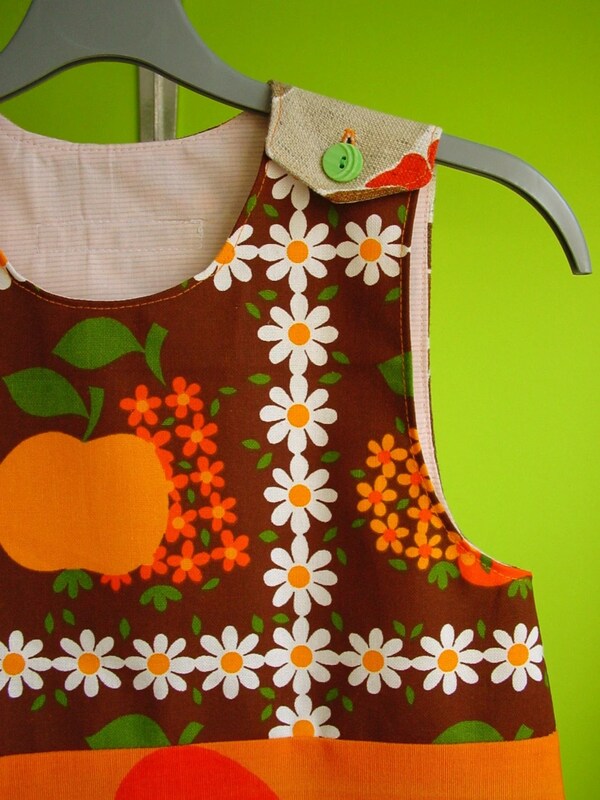 I have been planning to make quilts for the girls from old baby dresses — a way to recycle and pass something along. 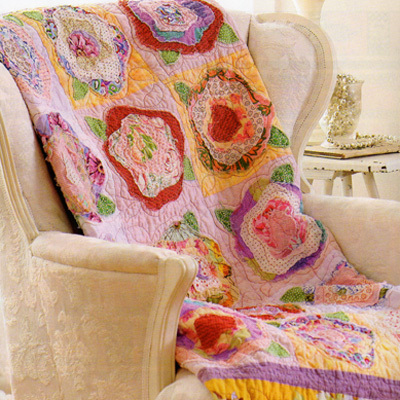 So I saw a copy of Quilt Pink magazine (available at your local quilt shop) which is a publication of Better Homes & Gardens to benefit Susan G. Komen for the Cure. Have you noticed that this is Breast Cancer Awareness Month? Talk about the power of women and PR. 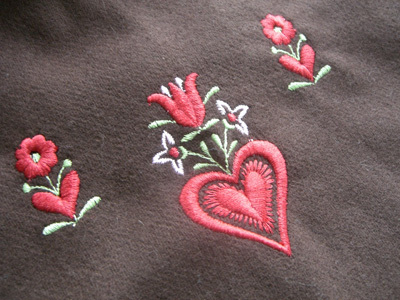 So I think I’ll try to make a small quilt for each girl and back it with the roses fabric. With both girls’ birthdays in December, the holidays and a trip to Hawaii coming up, we’ll see if it happens. Look for my finished quilts sometime next year! Did I mention that I’ve never made a quilt before? It was International Day at Preschool last week, and it got me thinking about the Old World European style that I love so much. Not dark, heavy furniture and velvet curtains — but more like Heidi, Swiss Miss and Hansel & Gretel. Painted furniture, flowered ribbons, window boxes and bright colors. Swiss, Dutch, German. My girls represented the countries of Madeira and Germany. 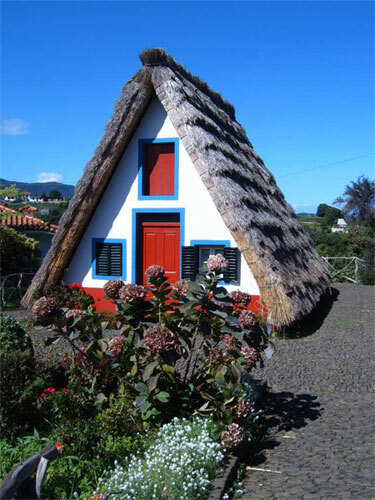 When researching Madeira, I came across this lovely image of a traditional cottage (above) that has been in my mind since I saw it (perhaps because it’s just my size). I love the shape, colors and thatched roof. 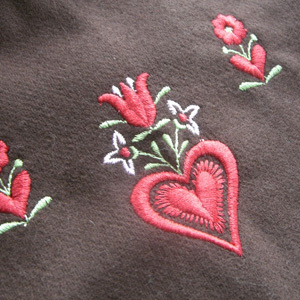 Below is a detail of the trim on Laura’s costume, which belonged to me as a child and was a gift from my aunt while she was living in Germany. I was so happy that Laura was able to wear it. I have been buying lots of flowered trims lately and love the look with the wide ribbon and the ric rac together. Really sweet and cheerful. I also made the girls some fall capes that are reminiscent of this style. Burda pattern 9674. Burda, a German company, offers some cool European patterns for women and kids. You can order online or find them at the larger craft stores. For the capes, instead of the prescribed fleece (which would have been much easier) I used brown suiting wool lined with colored flannel and added some embroidery (also below) to play up the European style. Eva seems to like her cape, but Laura won’t wear hers. This is the trouble with sewing for kids! And I’d be interested in any other sites out there! Like all parents, I’ve been thinking about the safety of my children’s toys a lot lately. Is that tea set that they love to drink from made with lead? I have to say, I’ve been stealthily removing some of the toys that seem questionable. But who really knows? I considered buying a lead test kit, but the last time I used one it seemed difficult to read and a new report by the Consumer Product Safety Commission says that they are pretty useless. By the way, you can sign up for the safety recall list here. I have found it pretty alarming to see how many products are recalled on a daily basis, and what about those that fall through the cracks? Oompa Toys has a lovely selection of European toys (like the Holztiger frog prince above), and you can sort by toys made in Europe. They carry lots of other great brands and have a rewards program that allows you to receive discounts (though minimal). And if you sign up for their e-mails, you’ll frequently receive information about sales. Another site that I love is The Wooden Wagon. Their toys are beautifully handcrafted and made mostly in the U.S. and Germany. Like the Rooster Rider, Stacking Bowls, and Forget-Me-Not Doll (pictured above) they have a large selection of old-fashioned handcrafted toys. They also have a large selection of Ostheimer figures, which are just beautiful. Another great site is Willow Tree Toys. They specialize in Waldorf toys and have a good selection of these colorful and fun birthday rings (pictured above), which I think would make a fabulous present for a newborn. This is a gift that could be passed along to the grandkids. This site is also searchable by location of manufacturer. 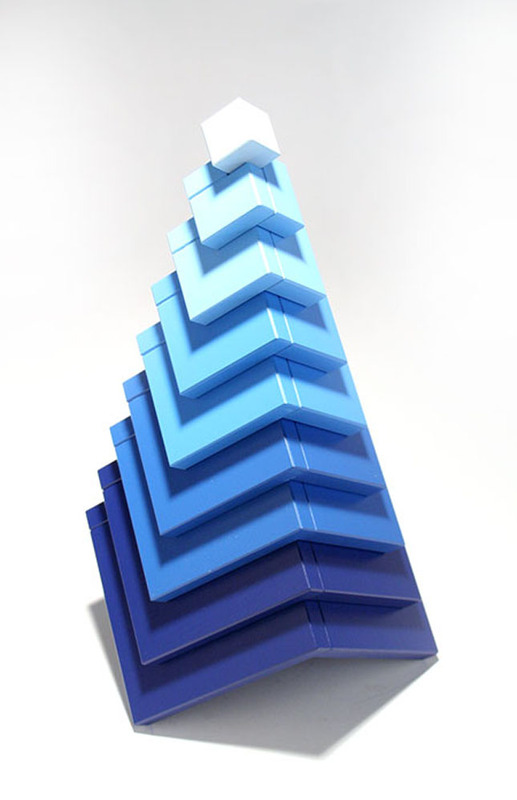 How cool are these Cella Blue blocks? Fat Brain Toys carries a great selection of stacking and building toys, including Dado squares and cubes (made of plastic), Haba, Kapla, Roy Toy, and others. The site tells you where each of their products is made. And of course, there’s Etsy. Handmade items that you can actually say were made by Santa’s elves without your kids saying “Does Santa shop at Target?”. These personalized recycled crayons (pictured above) are available at Story Blox, where you can also find a nice selection of beautiful song blocks and story blocks. 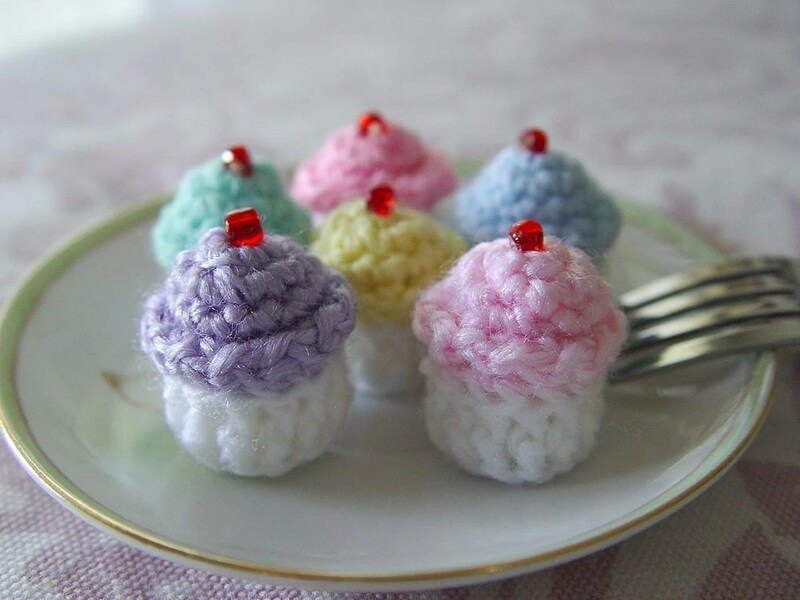 You can find lots of amigurumi (small knitted or crocheted) toys and play food on Etsy for very reasonable prices — like this set of miniature cupcakes from Pukashell Creative Designs. Ten Thousand Villages: Not a wide selection on their site, but they have lovely stores around the country and practice fair trade on imported, handcrafted items. Moolka: European toys. Lots of the same brands seen on Oompa. Nova68: Beautiful (but expensive) modern toys and and home goods featuring some of the best European brands. Hazelnut Kids: No plastic, no batteries! This is now a rule for toy selection in our house. The country of origin is listed for every product and there is a nice selection of toys made in the good ol’ US of A. Plus Stockmar art supplies. Tree Hollow Toys: Wonderful selection of organic, fair trade and environmentally-friendly toys. Each product lists country of origin. Nice book selection as well. Mahar Drygoods: Really, really cool vintage and handcrafted items. If you haven’t seen this site, you must check it out! Cool Mom Picks Safer Toy Guide 2007 also has a comprehensive list of safe toys and don’t miss the discounts at the bottom of the page! I’ll be adding to my list in the next few weeks and would love to hear about your finds for natural toys. I can’t stay away from Etsy! Here are a few nice things I’ve been looking at lately. 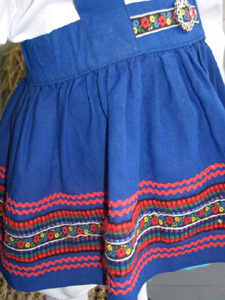 The dress is from kinchi and made with vintage fabrics. 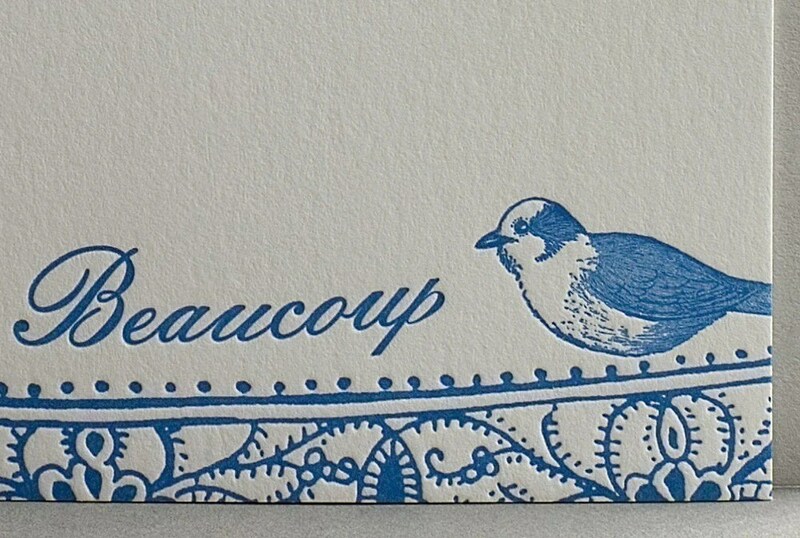 The beautiful letterpress thank you cards are from Pearl & Marmalade. I love letterpress so much I could eat it. Their designs are inspired and beautiful. A modern take on a classic art. Makes one large bundt or two loaves. -Sift together flour, salt, baking soda and cinnamon. 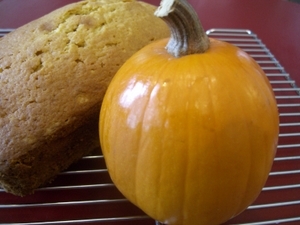 -In another bowl combine butter, cream cheese, pumpkin, sugar and vanilla. -Add eggs and flour (alternating 2 eggs and one cup of flour at a time). -Bake for one hour or more (at least 1 ½ hours for bundt pan). Will be done when top is crackled and golden brown and toothpick comes out clean. Allow to cool on wire rack before removing from pan. I made these sweet baby blocks for our goddaughter’s birthday last week. They spell out her name on one side and have numbers on the opposite side. My inspiration was the blocks I saw over at Craftsbury Kids. 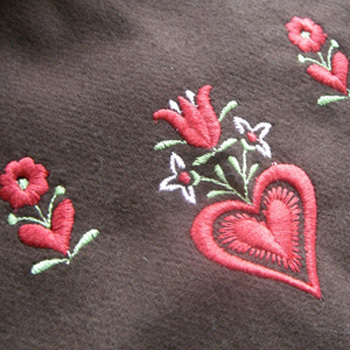 So they would also be great with felt applique, but since I had the embroidery machine…well. Each one is filled with polyfill (though foam would have been a great alternative) and I put a plastic easter egg filled with various noisemakers in each one (duct taped for safety!). Welcome to the long thread, a blog about crafts: how to make them, where to buy them, what’s new, etc. I’m a mother of two girls and I own a small sewing and embroidery business, which you can view here: www.monarchmonograms.com. In our world of mass production it’s nice to take the time to make (or simply appreciate) handcrafted goods. As a mother and someone who cares about the environment, I feel much better knowing where and how the objects in my home were created. I’ll be looking for new crafts to try and will pass along instructions and photos of those that turn out well. 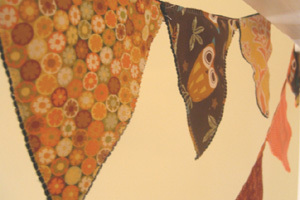 I’ll also feature new finds from independent designers and crafters. Want to pass along some tips? Please send your ideas/photos/links to me at thelongthread@gmail.com. Thanks for looking and please check back soon!